When we visit any health professional, we expect them to provide a competent examination and the right treatment. Of course, none of us particularly enjoy visiting the dentist and it can be quite a stressful experience. While most check-ups and procedures go according to plan, cases of negligence do occur and can cause pain and injury with potentially life altering consequences. As with any profession, dentists owe a duty of care to their patients. That includes making sure they regularly update their skills, have the right equipment and give enough time and thought to making a correct diagnosis. Poor dental work: Either the dentist was not qualified to carry out a procedure or they carried it out without the right level of competence. This can be a one-off operation – for example, removing the wrong tooth – or a longer period of treatment. Misdiagnosing a dental problem: As with other health care professionals, dental issues can be misdiagnosed and inappropriate treatment given, including no treatment at all. Insufficient treatment: The dentist may have not carried out all the treatment that was necessary to deal with a problem, exacerbating a condition and causing the need for remedial work to be done. 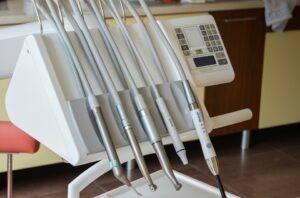 Dental negligence claims can be complex which is why you need to get advice from a qualified and experienced solicitor. There are numerous issues to consider including the type of injury caused, whether there were any contributory factors (for example, if the plaintiff was in any way responsible), the work needed to repair the negligence and the amount of trauma suffered. At DSM Legal, we have a great deal of experience with dental negligence claims and can provide impartial advice on any issue you may have. Claiming compensation is your right if you have suffered a negligent service from any healthcare professional. Whether you went to an NHS dentist or a private one, you should expect to receive a professional and competent level of treatment. This negligence may have left you in pain and had an impact on your daily life. It may have caused you take time off work and cost you money. You could well have had to pay money to put the mistake of your original dentist right. One thing is certain – this can be an upsetting experience for many people. DSM Legal’s team will be able to give you a free initial consultation and look at your case in an impartial and sensitive manner. We operate a no win no fee basis so you can be sure that you won’t be taking a personal financial gamble on the outcome. Personal injury claims, including for dental negligence, need to be dealt with quickly because there is a time limit beyond which you won’t be able to claim. It’s a good idea, therefore, to make sure you at least get the advice you need and find out whether you have a basis to make a claim in the first place. We’ll be able to support you through the entire process and ensure you get the one to one advice and guidance you are looking for. Contact our friendly, professional dental negligence solicitors today.